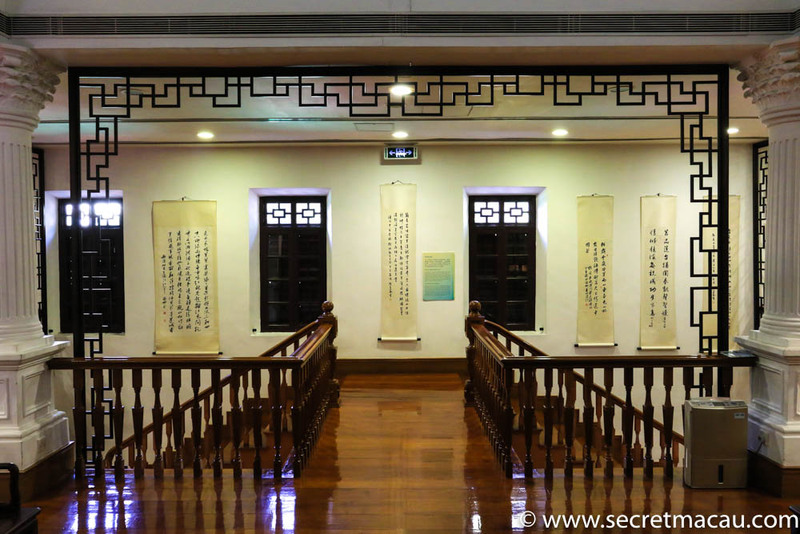 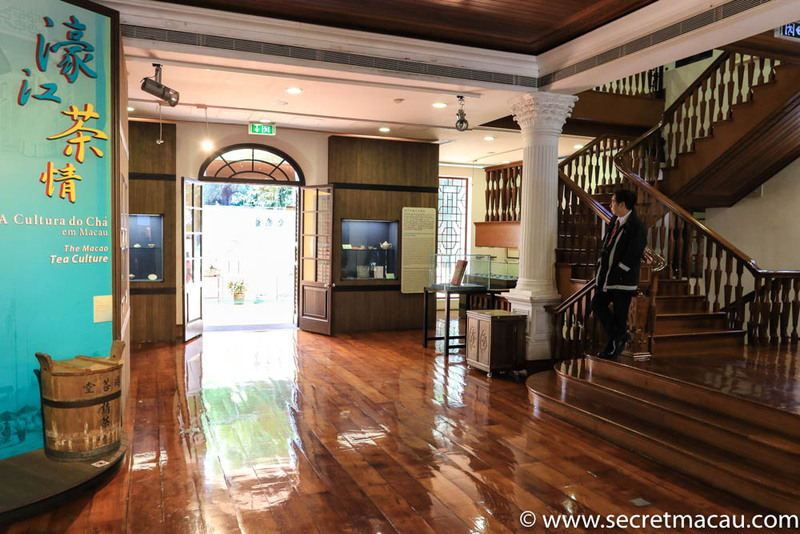 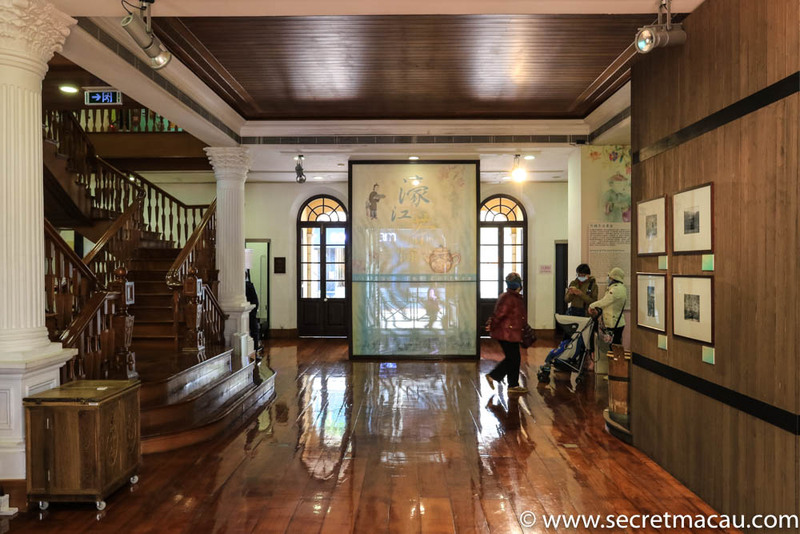 The Macau Tea Culture House (Casa Cultural de Cha de Macau, 澳門茶文化館) is a museum and cultural centre dedicated to the role tea has played in the cultural development of Macau. The house stands next to Lou Lim Ieoc Garden, and is just over the road from Jao Tsung-I Academy, close to Tap Seac Square. It is free entry and very much worth a look if you are exploring St Lazarus Parish (and has a WC inside). 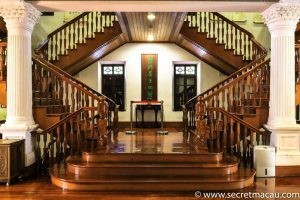 The house itself is a fusion of Portuguese and Chinese. Beautiful wood panelling is in place throughout. 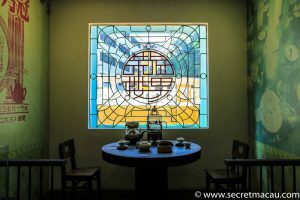 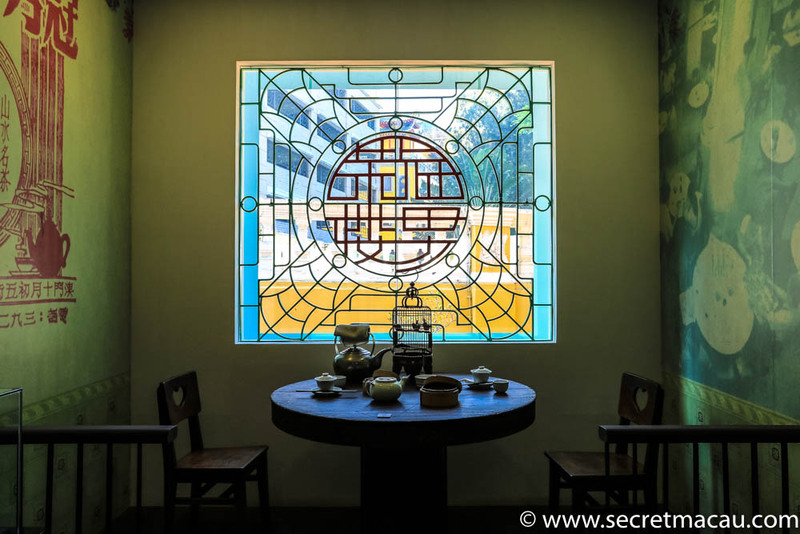 Downstairs has historical exhibits and information boards describing the history of Tea Culture, along with a lovely small table display in an alcove under a lovely coloured glass window. A magnificent staircase leads up to the first floor, which has a much stronger Chinese style. 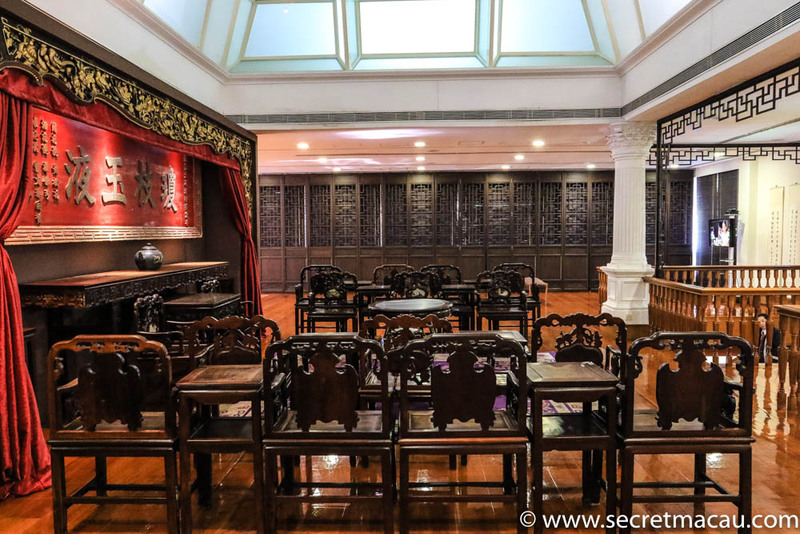 Wood panelling is still abundant, but Chinese detailing abounds. There is more information panels here, and tea-related poems in Chinese hang on the walls. 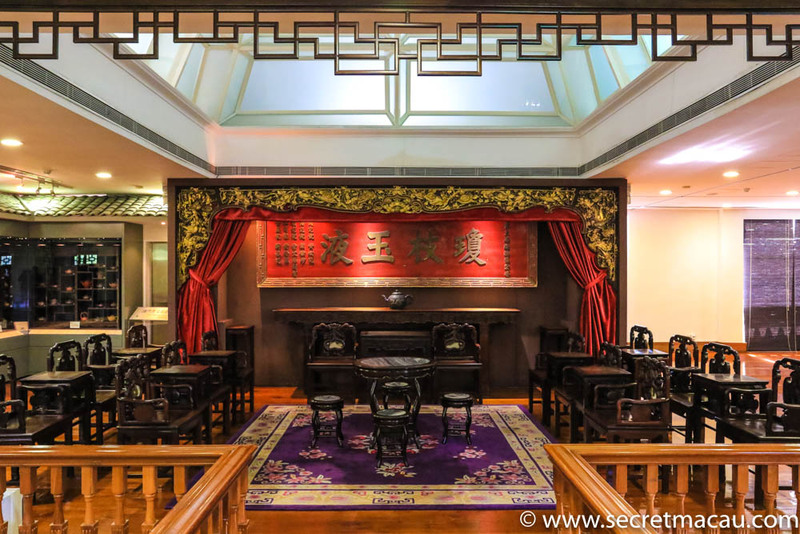 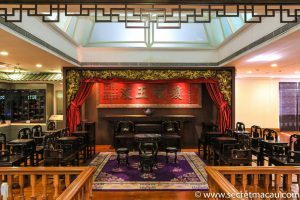 The centre of the room is dominated by a display, table and seats which are used for displays and training in tea making. 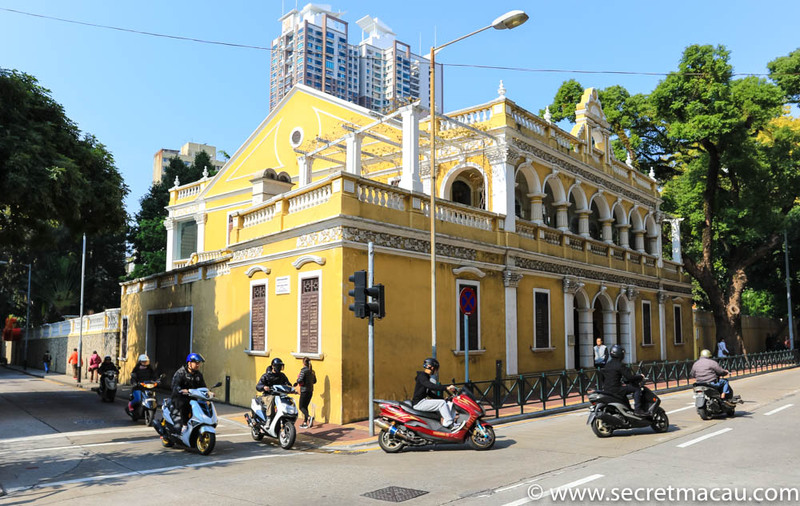 Macau Tea Culture House is just next to Tap Seac Square. 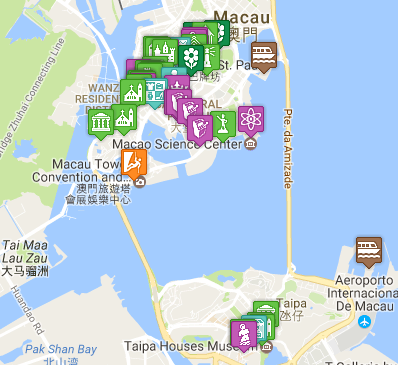 Tap Seac Square is easily walkable from the centre of Macau – you can walk from Senado Square in around 20 minutes (although if you are sightseeing – I’d allow for longer and take in some other sights along the route).